Mar Athanasius College Association is constituted as a society registered under the Cochin Registration of Literary, Scientific and Charitable Societies Act. It has now about 370 share holders, a governing body consisting of 62 members elected by and from the share holders and an executive committee comprising of Dr. Winny Varghese as the secretary, Adv. K. M. Abraham as the Vice Chairman, Sri.George.K.Peter as the treasurer, Dr.P.V.Joseph, Sri. K.K. Danny and Sri.A.G.George as the members. Under their able and devoted leadership, the association is marching ahead with unparalleled success. The clear vision, firm determination and utmost dedication of its charioteers and the abundant blessings of God Almighty have enabled the college to make significant strides and establish itself as a centre of excellence in the educational field. 1. Prof. M.P. Varghese, M.A. M.Litt. 2. Sri. N.P. 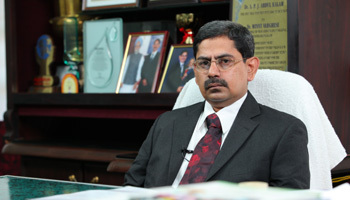 Varghese, B.A., B.L. 4. Sri. E.P. Paulose, B.A., B.L. 5. Sri. M.I. Kuriakose M.A., B.T. 6. Sri. M.M. Varghese, M.A. 7. Prof. M.P. Varghese, M.A., M.Litt. Son of one of the Founding fathers of Mar Athanasius College Association, Prof. Winny Varghese has inherited some great traits of his illustrious father. He had been associated with Mar Athanasius as a professor and later as a Principal before donning the garb of Secretary. 1. Benny Antony: Studies on Hydroxy Citric Acid in Garcinia. The U.G.C has sanctioned a major research project for this study. 2. Babu G: Study on Treatability of Wastewater from a Caprolactam Manufacturing Industry by Activated Sludge Process. He has co authored 8 scientific papers in different scientific journals and magazines. Has been selected for the award of the ‘Best Five Principals’ in India, instituted by All India Association for Christian Higher Education (AIACHE), New Delhi. This award is popularly known as Dr. Sam Higginbottom award constituted in the name of the founder of AIACHE. Nominated as a Member of the U.G.C. Expert Committee for Conferring and Extending Autonomous status to Colleges in Tamil Nadu, Andhra Pradesh, Pondicherry, and Andaman and Nicobar. Nominated as a Member of the U.G.C. Expert Committee for allocation of funds for the construction of women’s hostels in minority concentrated cities and towns in Kerala and Karnataka during XI Plan period. Nominated as a Member of the U.G.C. Expert Committee for allocation of funds for College Development and Merged Schemes for Colleges in Uttar Pradesh during XI Plan.